With guest lecturer from Australia: [ Sayed Abdullah al-Nakeeb ] and eulogy reciters [ Sayed Haidar Nasrullah ] & [ Sayed Haidar Jaizany ]. VENUE: Cavendish Banqueting in Colindlae. 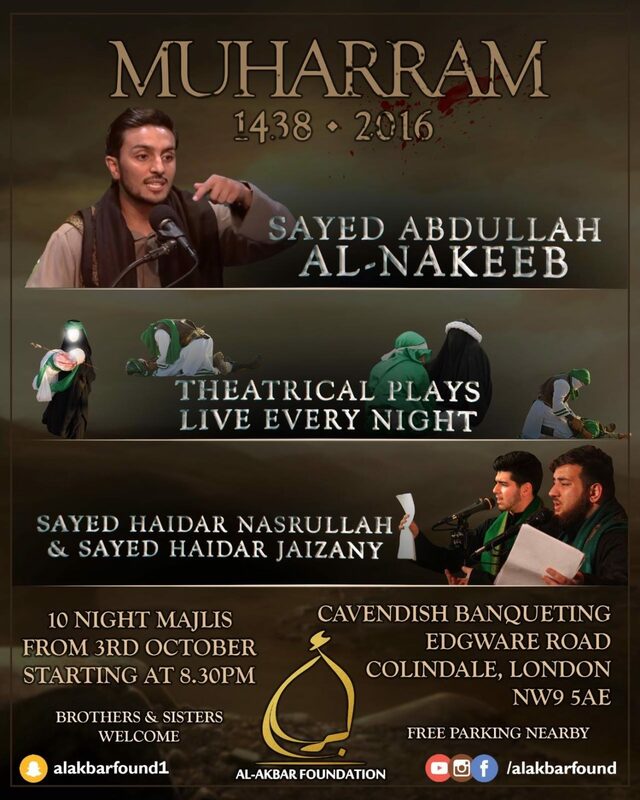 Address: Edgware Road (opp. Mercedes Benz), Colindale, London NW9 5AE.